Sensory processing disorder and autism are two separate conditions that are sometimes confused. The two conditions share common symptoms but also have important differences. Autism is a pervasive developmental disorder (PDD) that is characterized by significant impairments in language, communication and social skills. The American Psychiatric Association's Diagnostic and Statistical Manual for Mental Health Disorders IV (DSM -IV-TR) categorizes autism with four other PDDs - Asperger's syndrome, pervasive developmental disorder not otherwise specified (PDD-NOS), Rett syndrome and childhood disintegrative disorder. The neurological condition is usually diagnosed by age two due to early childhood developmental delays. Autism symptoms vary in each individual and range in level of impairment from mild to severe. 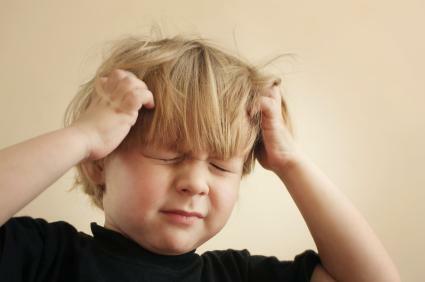 These symptoms can include sensory processing problems similar to sensory processing disorder. Sensory processing disorder (SPD) also known as sensory integration dysfunction or sensory integration disorder, is a condition in which a person has trouble receiving and managing sensory input. The affected person may not be able to properly manage stimuli related to sight, touch, smell, movement, hearing or smell. This inability to manage sensory input may cause an affected person to over-react or under-react to sensory triggers. SPD impairment can be mild or so severe that it gets in the way of a person's ability to function in daily life. SPD is not an official diagnosis in the DSM IV-TR since it is often described as a symptom of other medical conditions, such as autism, and not fully recognized in all traditional medical environments. However, a significant number of therapists and doctors as well as organizations such as the Sensory Processing Disorder Institute, consider SPD to be a medical condition in its own right. Some individuals suffer from SPD without the existence of other medical conditions. The Sensory Processing Disorder Foundation is among a number of advocacy organizations trying to get sensory processing disorder recognized in the upcoming DSM V.
SPD and autism are sometimes confused because some cases of autism include sensory processing difficulties. However, the differences make it clear that these are two different conditions. Symptoms include problems managing sensory input, which can cause inappropriate reactions to certain sights, tastes, sounds or smells. The person may be overly sensitive or lack reaction to a taste, sight, smell or sound. The person has poor motor skills expressed in difficulties with handwriting, sports, such as bike riding, and may appear uncoordinated or generally clumsy. The affected person may be irritable and have frequent tantrums. Both SPD and autism are neurological conditions. Sensory integration therapy and Dr. Stanley Greenspan's DIR/Floortime are effective treatments for both conditions. A person with autism usually experiences many other symptoms besides sensory issues, such as limited to no speech, difficulties understanding word contexts and developing a vocabulary, a need for strict routines, obsessive interest in an unusual activity or problems with social cues. A person with SPD alone only experiences symptoms related to sensory input issues. Autism is a recognized medical condition with an official diagnosis in the DSM IV-TR. SID is not recognized as a mental health condition by the DSM IV-TR. If you suspect that you or a loved one may have SPD or autism, seek a proper diagnosis immediately. Get two to three medical opinions to confirm a diagnosis if you are not satisfied with the first doctor's results. Both SPD and autism respond well to current treatments. Once you secure a correct diagnosis, you can work with the doctor to find the most appropriate treatment plan.